May 2010: surface is all clean now, ready for new concrete. 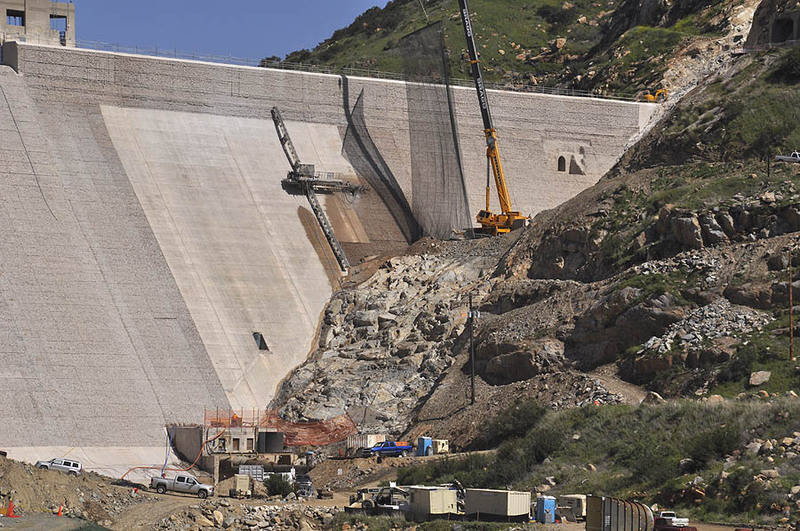 The scraped rock on the right side shows how much higher the dam will be (the crane sort of points at it). 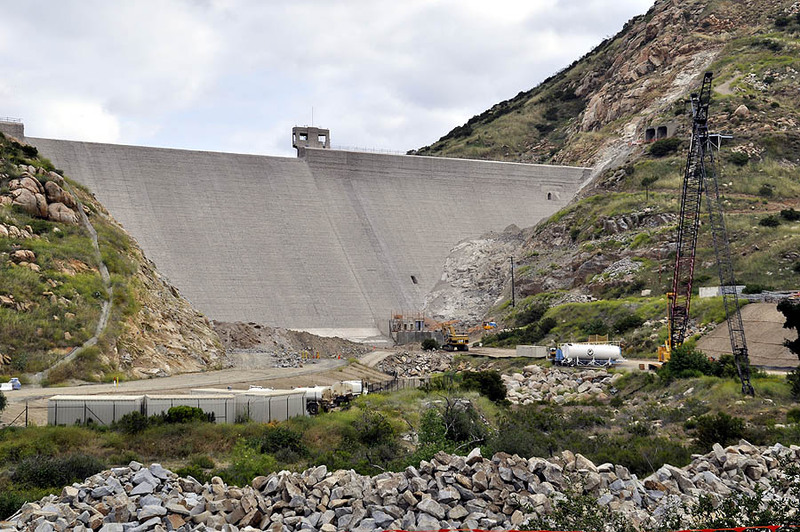 The San Diego County Water Authority is managing a project to raise the San Vicente Dam by 117 feet as part of its Emergency Storage Project, a system of reservoirs, interconnected pipelines, and pumping stations designed to make water available to the San Diego region in the event of an interruption in imported water deliveries. Here is their project website.